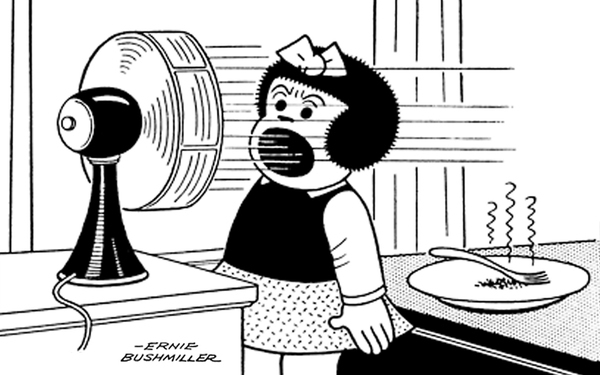 Sluggo: What's so funny? Nancy: Tee Hee Those people and those signs. Signs read: Two BIG features. AND Assorted SHORT subjects. What an awful time! People acknowledged others were overweight. People who were overweight knew it but didn’t join a social justice mob. No time to hate for these ancient bigots. Just smile and get along, that’s what ignorance will get you. Modern diversity is much better.